Megan Devlin is a Senior Lawyer at Emanate Legal. Megan looks forward to working with landowners to navigate their way through negotiations with gas and coal companies, obtaining outcomes for them which are both commercial and practical. Megan focuses on effective communication and building a strong rapport with the client to ensure an accurate understanding of their position. Her determination and proactive approach assist in achieving desired outcomes for clients. She is always seeking opportunities to improve her professional development and knowledge base, thereby improving her ability to provide her clients with a broader focus and better insight into their matters. Megan provides her clients with pragmatic and prudent advice. 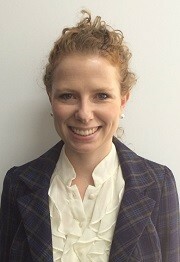 Megan Devlin is a lawyer at Emanate Legal, located in their Roma Office. She was admitted to practice in 2010. Megan joined the Emanate team in September 2014, coming from a rural practice where she was based for four (4) and a half years. Megan was previously located in Dalby where she acted predominantly on behalf of landholders. Megan is well versed in acting on behalf of landowners in their dealings and negotiations with gas and coal companies (and many other dealings which inevitably arise). Megan has the added advantage of being a landowner herself with her future husband and has an experienced understanding of the impacts of gas on a landowners day to day operations of their property.